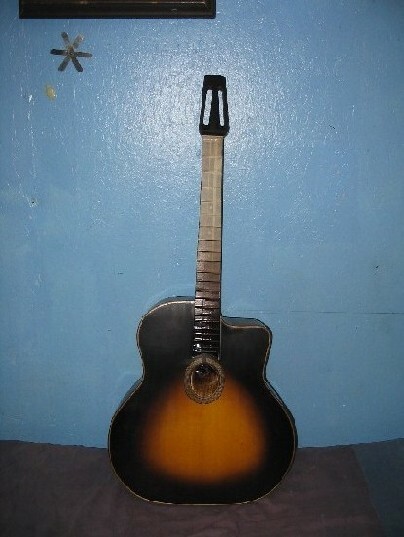 M y dad was into country.He gave me my first guitar @ the age of 5,1963.After the novelty wore off I promptly used it as a hoby horse,it caved in. 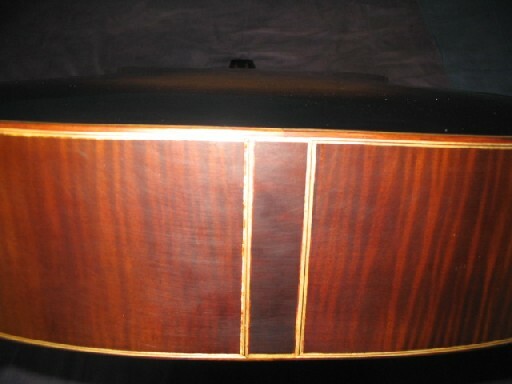 My dad was mad and swore I'd not have another.That Was The Beginning.I Fixed it all up.With the help from a 9 guart berry basket,the handle and sides resembled the wood on the top,the basket must have been spruse.Fast forward to 1999. 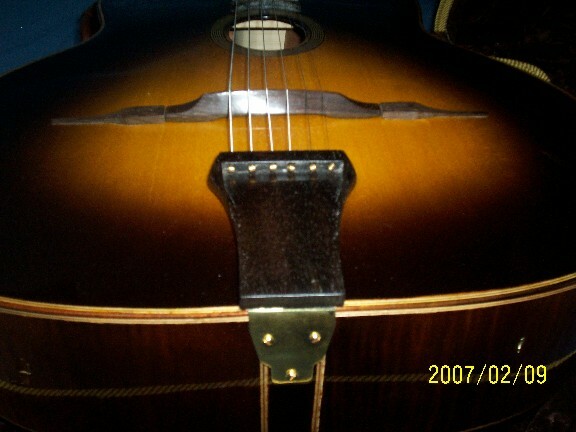 I met Micheal Collins @ a church were he was renting space to build his selmers.I was building an Explore Bass copy ,a local music store hoocked us up as I was trying to buy binding. 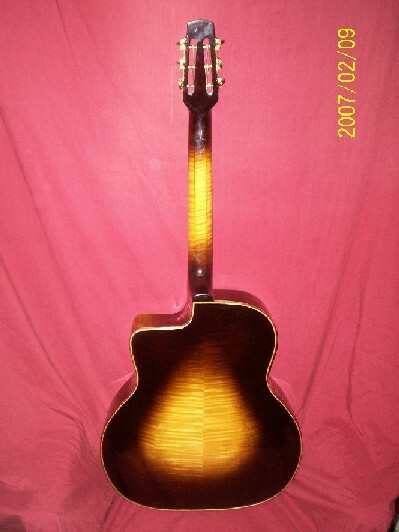 I Became his shop assistant.After I finished my apprentisship with Collins Guitars.While in his employ,with me at the bench,Micheal's hands were free to persure some R&D.It was at this tim that he wrote his book "How to Build a Maccafferi Selmer" Sold at luthier supply outlets.I own a 1957 Gibson J45.We mapped it out and i now have plans . We met Jessy Barksdale of "Jeff healy's Jass Wizzards" Who owns an origional selmer "Oval".We had the extreme pleasure mapping it out and applying that knowlage to Micheal's guitars. About a year ago i was visiting the 12th fret in Toronto and was trying out several gypsy guitars, including a Collins oval hole and a 12 fret D hole with the name Sky on the headstock. Hands down it was the best sounding and loudest gypsy guitar in the shop.I told the owner if it was a 14 fret i would have bought it. 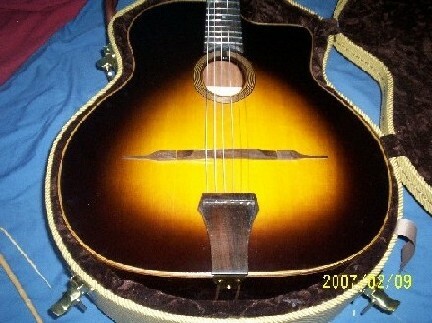 It didn't last long in the shop and someone now has a fantastic gypsy guitar. volume and tone will be automatic. Are you making the top with a forced arch? 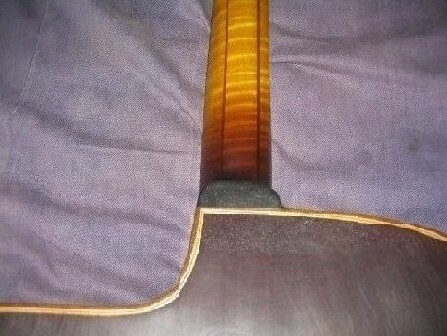 It sems now the trend is to have that prominant heat bent pliage similar to the Selmers. 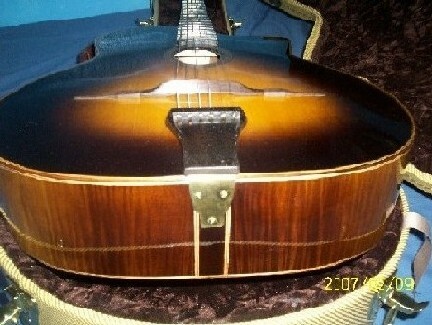 my calling is vintage repro ductions.Plans are like bibles many inturpretations.So im verry much sticking to the guitars I get my hands on .With the tricks and mapping skills I gained from the briliants of Micheal Collins I trust what I see and know ...Much to my knowlage Maccafferri did not carve the top.Maybe wnen I set time aside for R&D ill give it a go. 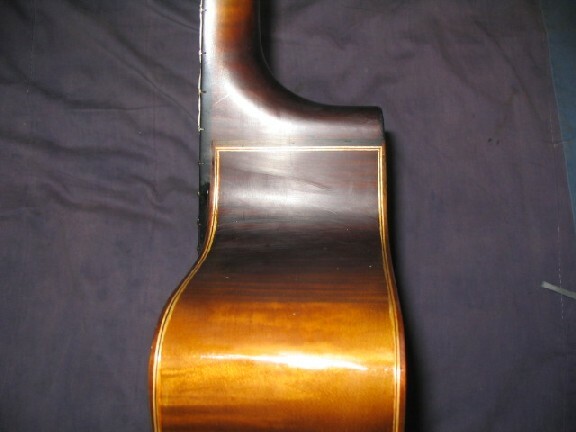 Inner = Mahogany and solid Mahogany liners.Not sure if the heat degrades the cellular integrety of the spruce or not.The Maccafferri is a compound-arched instrument.That is achieved by first bending both book matched sides of the top separatly.Then after joining.The top is is braced.The bracing giving shape to the top.And finally the sculpted sides finnish off the propper arch.Just picture a pyramid smoothed nonhared lines. heres something you dont see alot of. 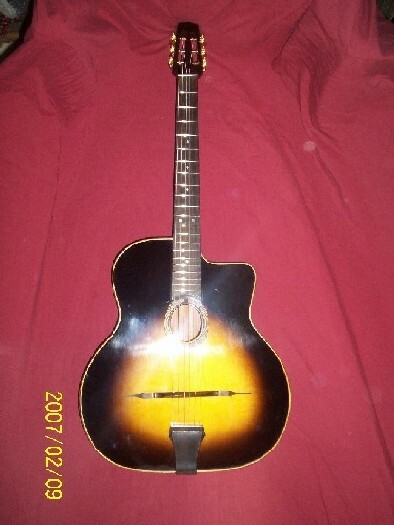 I wanted to see how this style of guitar looked with a sunburst. youll see thats who makes Gitan.They make many brands . 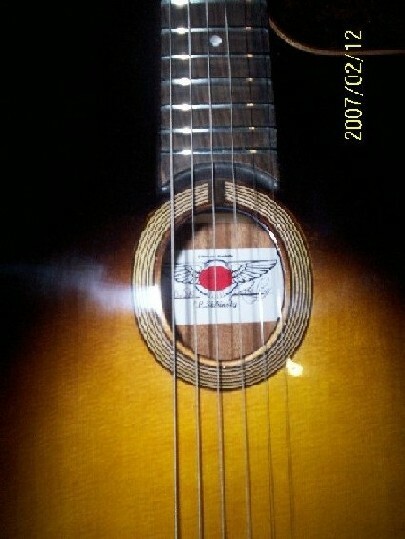 you tube "china guitar factory rino88 "